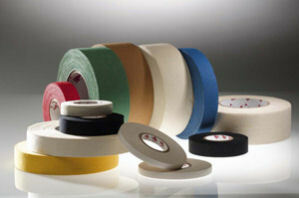 We are a major distributors of Scapa tapes and adhesive products serving the Canadian market for more than 15 years. We offer a complete line of Scapa products to serve your needs. Scapa sells tape products (from formerly known brands like Sellotape and Renfrew). Scapa #174 Double Sided Carpet tape-High adhesion, low residue removal. Scapa S301 tape is 8.5mil double coated UPVC film that features exceptionally high tack and peel resistance and can be used for bonding to rough and porous surface. Excellent resistance to environmental extremes. The product exhibits superior adhesion to ether and ester foams and its UPVC film carrier allows for excellent conformability. S301’s high adhesive mass provides excellent gap-filling properties resulting in strong bonds to rough or porous surfaces and dissimilar materials. It’s ideal for lamination to EPDM rubber and performs exceptionally well in difficult bonding, splicing, and product assembly applications. Scapa S3401 is a 13 mil, fire retardant double coated cloth tape. It is primarily used for installation of aircraft carpeting and fastening of floor covering products. A black vinyl coated cloth tape with a matte finish that will not reflect light and hence is suitable for gaffer's applications. Easy unwind. Used as a gaffer's tape, book binding tape, a harness tape, seat repair, and a wide variety of uses. 18mm x 55M 64 "
24mm x 55M 48 "
48mm x 55M 24 "
A white vinyl coated cloth tape with a printable matte finish suitable for sealing and labeling. High quality, High tack natural rubber adhesive tape. High tensile strength. Easy unwind. Used as a gaffer's tape, book binding tape, a harness tape, seat repair, and a wide variety of uses. Availabe in Gray, White, and Black. High adhesion double sided cotton cloth carpet tape- low residue removal. Ideal for smooth surface application in light traffic areas. Use indoor with foam/rubber-backed carpets. Used as a carpet tape in the trade show and exposition industry. Easy removal when trade shows need to be dismantled. Other applications include temporary mounting for assembly or machining operations and print plate mounting. Perfect for joining wood together during assembly or cutting. To get a hold of the backing, use a sharp X-acto knife to get it started. 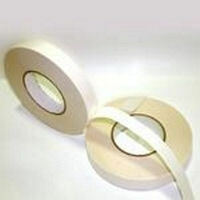 Aluminum backed glass cloth tape that offers high tensile strength, temperature resistance and is non-flammable. It is designed specifically for use on high pressure pipes and connection with burst potential. This tape is wrapped around high pressure pipes to act as a burst inhibitor. The silicone adhesive used on this tape resists temperatures up to 500F. It is ideal for a variety of applications including transportation systems such as autos, locomotives, marine vessels, and aircraft; as well as piping used in boilers, oil fields, steam power, and fluid line pipes. Scapa 1250 Ultra Clear Film tape is an ultra clear polypropylene film with a non-yellowing acrylic adhesive for splicing. Scapa Clear film tape is excellent for use as gel repair and book repair tape. Scapa 1433 Clear Polyethylene film tape single coated, comformable, self-wound made from UV resistant plastic and UV resistant acrylic adhesive. All-weather tape adheres to rigid plastics, flexible films, glass, wood, and metal. Suited for indoor/outdoor assembly, construction, and repair applications, film allows light penetration and is stabilized against UV rays.It will not breakdown in sunlight. It is also formulated to provide resistance to humidity, plasticizers, oil, water, and salt water. Uses: Patching greenhouse plastics, taping windows, bundling products for outdoor storage. Scapa 2501 Self Amalgamating tape is a general purpose self insulating, self amalgamating tape based on PIB rubber. It's colour is black. It is used for jointing and repairing a wide range of power and distribution cables up to 46 kV. Also used for insulation, waterproofing, and protection of electrical components. Also used for protection of joints against seawater in marine environments. Other widths available, please call us! Scapa 4450 is an acrylic adhesive transfer film tape that is acid neutral (pH 7). Unlike other ATG Tapes, it is not reverse wound or on a 1" core so it cannot be used with an ATG dispenser (please note that it will not fit or work in an ATG dispenser for these reasons). Scapa 4450 is used for self-adhesive labels and nameplates, mounting of photographs and posters, and splicing tape for film and paper webs. It is also used for graphic arts applications, picture framing, exhibit and POP displays and product assembly. Other applications include mounting promotional item and posters and also mounting picture frame mat boards and dust covers. It has good long-term aging properties, good temperature resistance, and glass fibers in adhesive provide easier application and clean break of adhesive Also used in the leather garment trade. 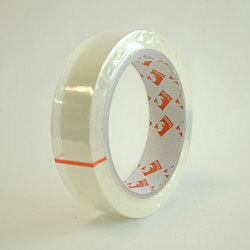 This Transfer Adhesive tape bonds to most substrates. It is unique in its sticking ability and has excellent tear resistance. Developed for the building and construction industry, this tape has the versatility to bond surfaces as diverse as concrete, plaster, wood, metal, and plastic, and also because it is tape and not a glue is quick, clean, easy to use, and is effective even on rough, uneven, and irregular surfaces. Use for sealing and joining of waterproof sheeting for foundations and wall insulation, fixing of light fittings, skirting boards and moulding, and a multitude of other building and interior tasks. Non-toxic with quick tear-off and clean application. Premium, ultra high quality, colored cloth tape, matte finish, high tack, very long lasting, excellent tearability, waterproof, used for an endless variety of sealing, holding, and book-binding application in libraries. For example, it can be used as reinformcement for book spines or can be used as a hinge to tape together mounting/illustration boards for presentation, displays, etc. Available in the following colors: Red, Green, Blue, White, Yellow, Brown, and Black. A very popular double coated paper tape that exhibits high tack, high shear and is very good for laminating to irregular surfaces. 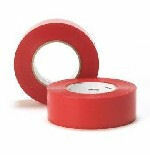 Reverse wound acrylic adhesive transfer tape, with the same properties as #4450, fits #9014 dispenser. Each roll wrapped. Polyflex® 234 Stucco tape is a heavy-duty, 4.5 mil polyethylene film is single coated with 2.5 mil pressure-sensitive synthetic rubber adhesive. Highly Conformable film offers polyethylene backing that does not degrade with exposure to UV light, leaves no residue upon removal, and maintains watertight seal in all weather conditions. 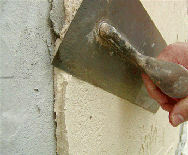 Product is suited for construction and general industrial repair and maintenance applications. 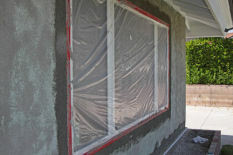 The tape is used to mask windows and doors during stucco application and painting. 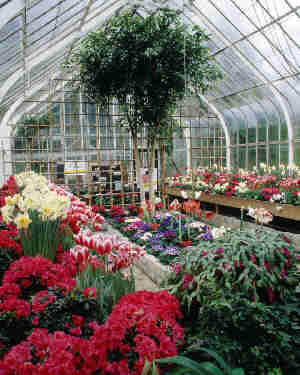 Also is ideal for greenhouse repair, agricultural bagging and shrink wrapping applications. The tape removes cleanly within 30 days. Bright red film tape applies clear. 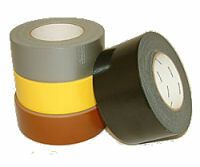 This tape is suitable for gaffer's applications because it has matte finish that will not reflect light. Ideal for making quick repairs that are all but invisible to the camera or the audience. It is used in the theatre production, movie production, A/V, DJ, and hotel industries. For other tape product not listed, please go to Tape Products or feel free to email or call us toll free at 1-877-877-0873.